Last week was an exciting one, not just for enthusiasts of mobile phones, smartwatches and tablets; there was some photography news too. Sony(s sne) announced an innovative pair of cameras that look like traditional lenses and clamp onto a smartphone. I was strongly considering either the $249 QX-10 or the $499 QX-100 but after much deliberation, I opted for a Sony NEX-6 interchangable lens camera. All three of these, however, share a key feature: Integrated Wi-Fi radios. After just three days with the new Sony camera, I don’t think I’ll ever again buy a camera without Wi-Fi. The NEX-6 doesn’t have NFC like the lens cameras do (darn! ), however, it’s still super handy to create a wireless connection between the camera and a phone or tablet for photo edits and sharing. Using my Android(s goog) phone, it’s easy to share images from the NEX-6 because of how Android handles the function: Any installed app that supports image sharing appears as an option. To make all this work, I did have to install the free Sony PlayMemories application on my Moto X and Nexus 7. That’s the software that handles incoming images from the camera I bought. It’s also the same application that you’ll need on an Android device or iPhone(s aapl) to use either the QX-10 or QX-100 lens after they hit the market later this month. The software is pretty basic but works as advertised. To use the feature, I simply hit the Wi-Fi button on my camera, which becomes a wireless access point. It shows its network name and a password on the camera display. Open the PlayMemories app on a mobile device and it should automatically find the camera’s network and prompt you for the password. Enter it and all of a sudden, the captured images appear on your tablet or phone. You can also choose to send just a single image from camera to mobile device. At that point, you can “Copy” or “Share” the images directly from your mobile device. Sony lets you choose the file size as well; handy for those on limited broadband plans or for sharing snapshots on social networks. The software also allows you to use your phone as a remote control for the camera — view the subject, shoot, zoom, touch-AF, and adjust other camera settings — I haven’t tried it yet, but plan to this week. Even without that, I’m sold on the use of Wi-Fi in a dedicated camera. Since you need the Sony app to make all this work, I don’t see full-time photographers going the same route. After all, they likely want their RAW image files on a computer to fine-tune and process their images. This particular solution is better suited for fast image sharing, although with some third-party editing software, you could create or add interesting effects. I had previously considered buying a phone that has Android built-in, but I see little need for that with this setup. And I was never a fan of the LTE cameras. Yes, they make it easy to share pictures too, but who wants to pay an additional monthly service fee for mobile broadband in a camera? My phone works just fine, thank you. 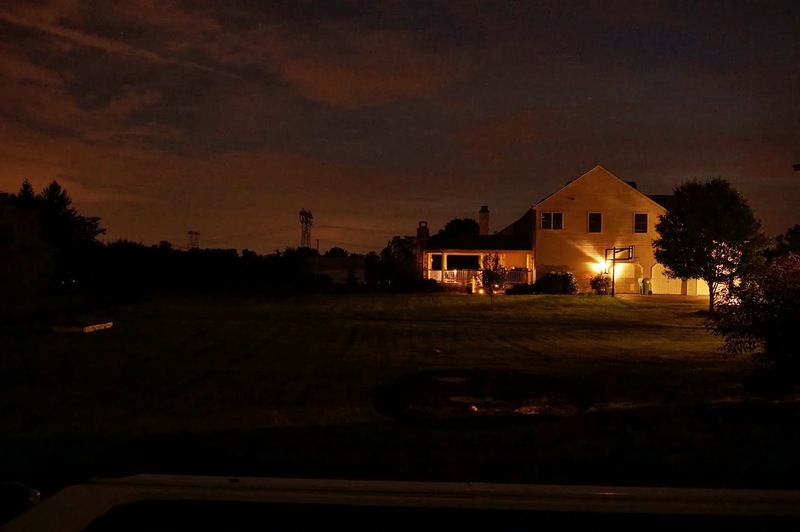 And so does my new camera: Even in the dark with a 2 second exposure. what wifi range do you get. I am looking for a camera with about 50 ft range? Hopefully with the release of the API, we will see a couple of descent apps that will take advantage of it. Given that Sony has set the disagreeable bar with $5-$10 apps for the camera, if the apps are implemented well (and assuming better than the play memories app, which is not a high bar) then I’d be willing to pay $5-$10 for an app that obviously is going to have a tight vertical market. Probably the best biggest thing to do is to start asking the develpors of your favorite camera and photo catalog/mgmt apps on iOS and Android to add the use of the Sony Remote APIs. Wifi is really unstable on NEX-6. 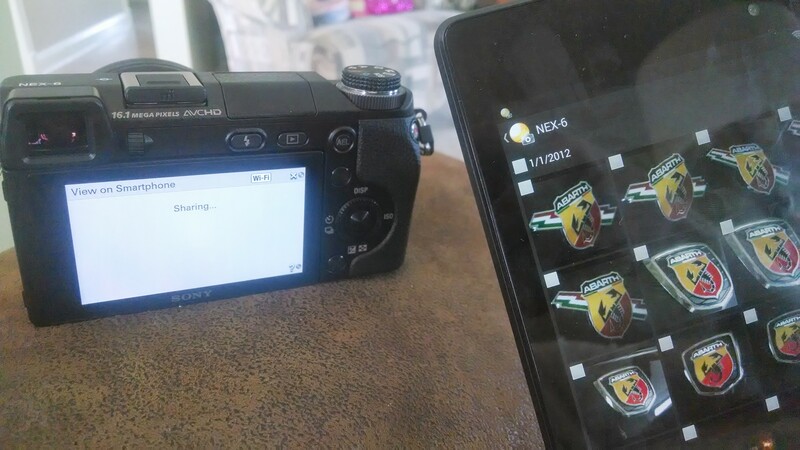 Remote shutter does not work – the app just gives an error everytime. And you can’t really share images on other apps without fuss – the phone is connected to camera’s AP at that moment. so you have to go back and turn off the PlayMemories app, and then go back to your app and finish sharing. More reverse engineering to get fugly Android phones to work. Sycophant Fandroid. 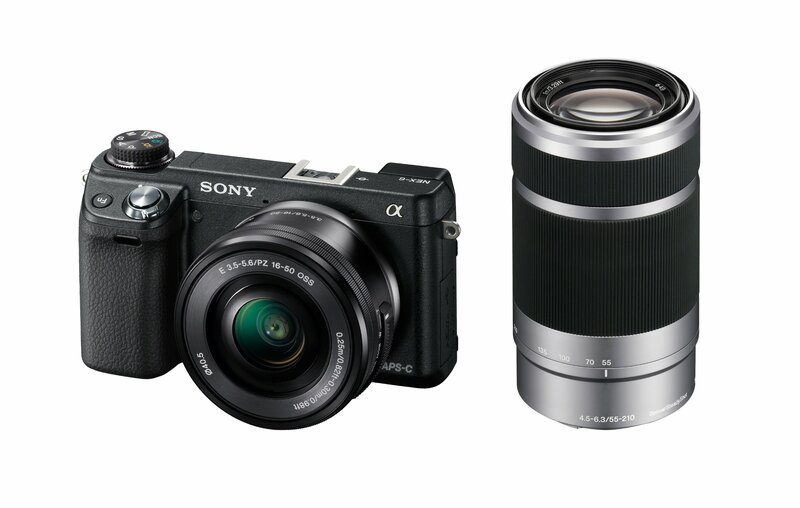 I am also really intrigued by Sony’s new QX10 and QX100. I love the NFC capabilities the present. Using a Nexus 4 that I’ve enabled LTE on, it would solve my only problem I have with the device. I’ve been eying the NEX 6 myself as a replacement to my aging Canon Rebel XTi. I agree with Kevin’s points about the convenience, but the thing that just clinched the deal for me was Sony opening up the camera control API: http://camera.developer.sony.com . I could see this kind of set up being used for real-time proofs for remote clients and switching to the pro cameras for the actual photo shoot. Thanks for the cool review, Kevin! This has been kind of interesting timing. I’ve been eyeing the NEX-6 and NEX-7 for several months, but am waiting for a couple more to see if the refresh to the 7 comes out. FYI, there is a good NEX community on DPReview. Also, Trey Ratcliff uses a NEX-7 now. He’s a bigger fan of post-processing than I am (his focus is on HDR), but he is an interesting artist and an amazing advocate for digital photography. His blog and work are both really worth checking out. Yup, I’m a big fan of Trey’s work. :) His pictures are used for many of the built-in, available wallpapers on the Chromebook Pixel! This is backwards. The camera should be a wifi client, not an AP. I want to tether my camera so I can send pictures somewhere, not pull them onto my phone/tablet with an app. I should be able to use whatever wifi is available (my phone acts as an AP…) to transfer somewhere. Eye-fi was close though cumbersome with the middle piece of software running on my computer. This, however, seems backwards. It is not “fast” to have to transfer the image to my phone so I can share it. I should be able to run a wizard on the Camera directly, tie it to my social media accounts and upload immediately to those if I am in range of wifi. Ultimately, the camera + Wifi + Dropbox (or some other file service) would fit the bill. Then I have my photos where I need them and can edit them nearly immediately from the device/software of my choosing. This sounds way too complicated. Unless you have an unlimited data-plan or a great deal of time transferring 24MP images to “somewhere” would seem very tedious over the limited bandwidth of any (consumer) Wi-Fi network. Forgot to mention, I agree with the “too complicated” and “cumbersome” statements. I also found the Eye-Fi too unstable for regular use. Until LCD camera display come in 8″ Retina versions, I’m still better served by waiting until I can preview my images on a 20″ display to make sure they are actually in focus. With this setup you can edit the pictures you take on the phone. After editing you use your phone and share to wherever you like. Very rarely do I take a pic and share without no editing.